Cathedral hallway made of stone features slab flooring and stone pillars reaching up the walls to become archways capped with medallions. At the end of the hallway is a 2 pane, yellow stained glass window and a left turn down the next hallway. 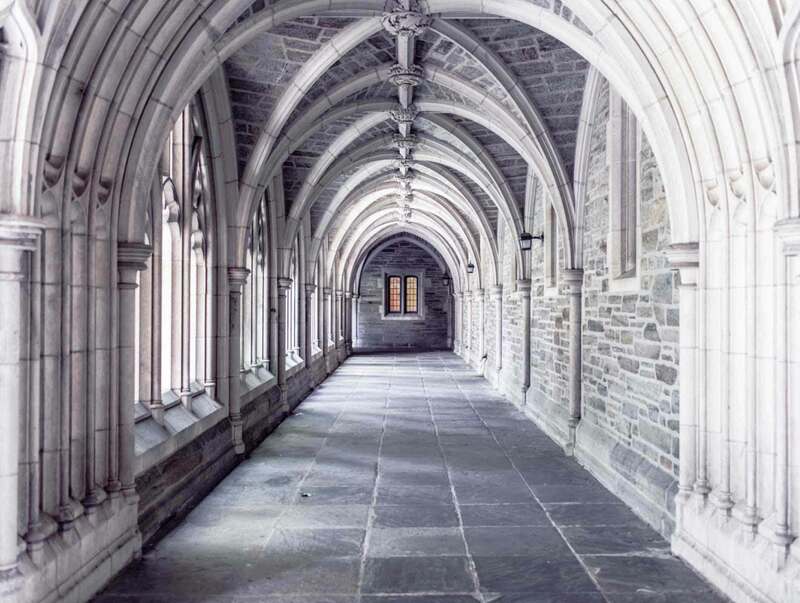 A stone wall runs along the cathedral stone floor and is peppered with decorative windows on either side to let the maximum amount of light into the space which has a bare minimum lighting system in place (3 electrically powered wall sconces).